At Hollins Wood Childcare we are passionate about early years, inspiring our little ones to be the 'thinkers & doers' of the future. 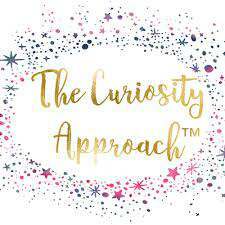 We have embarked on an incredible new approach which inspires children through curiosity, awe and wonder. Through this approach, children learn through the use of authentic resources, recycled materials and loose parts. Our mindful and passionate team will look to create amazing play spaces for children, where they have the opportunity to become inquisitive capable learners. Instead of using plastic pretend, child-sized toys, we use the real thing. Resources which value children's play. We are moving away from manufactured toys- which are miniature and child size. By giving children 'real' authentic resources to play with, it opens up a wealth of opportunities for learning. These resources offer a range of textures to explore and investigate. In comparison, plastic feels the same, smells the same and all looks the same. By providing an eclectic collection of resources, children are given a wider range of experiences, opportunities for critical thinking, exploration, and discovery. Through The Curiosity Approach, we aim to provide a home-from-home environment, with a calming, tranquil space. Neutral colours, natural materials, cosy places for children to sit and look at books or engage in deep learning. We aim to provide excellent learning opportunities without impacting on your child's happiness and well-being. As early years educators we are constantly reflecting on our own environments. We aim to think outside the box and view play space through the eyes of the children within. At our setting, we are working tirelessly to improve the experiences and learning opportunities for children. To ensure children never feel over anxious, stressed or over stimulated. We aim to provide a space children to feel happy and content. To feel safe and secure, to play explore and investigate, to be motivated and stimulated. Curious inquisitive learners, who are given opportunities to reach their full potential and the 'wings to fly'. Loose parts are items that can be used in a multiple of ways with no pre-determined outcome. Children choose how to use these items. They can combine them, line them up, join them together, transport them. Developing opportunities for creativity, critical thinking, problem solving. Opportunities for counting, sorting, mathematical concepts and so many more learning outcomes. Children can use these items for construction, building, joining them together, developing skills of problem solving and critical thinking. Through the use of items, we are opening up a wealth of opportunities to experience a range of textures, size, shape and variable weights. All of these help children to develop mathematical concepts, opening opportunities for conversation and questioning. Loose parts can be used holistically across all areas of the setting and are usually stored, so that children can access and select them independently. Loose parts have no fixed outcome, which means there is no right or wrong way to play or use these items. Which in turn ensures learning is not prescriptive with adult determined outcomes. Children take ownership of their play and it opens up endless possibilities to learning and development. By using and interacting with these items children are developing essential manipulative skills, building their dexterity and fine motor skills in preparation for later pencil control. Their focus is on the process of learning and being actively engaged, instead of creating an end result eg picture. Through the use of loose parts we are celebrating play as fundamental to children's learning and development. Children are researchers in their own learning, they are highly motivated to engage and develop concentration skills and improves levels of perseverance. Loose parts ensure children are taught HOW to Think, not WHAT to Think!